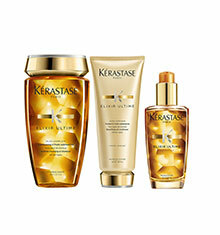 Kérastase Elixir Ultime Bain & Beautifying Oil Conditioner Bundle, enriched with precious oils for a luxurious cleansing experience that intensively nourishes hair for a soft, silky result. 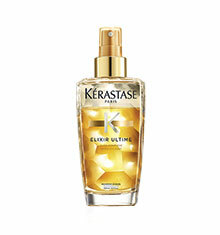 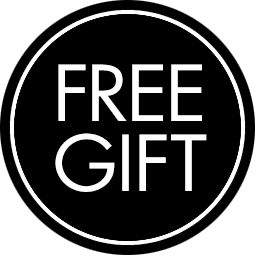 Kérastase Elixir Ultime Bain Shampoo (250ml) Kérastase ELIXIR ULTIME Sublime Cleansing Oil-Enriched Shampoo contains a high concentration of oils for lavish cleansing. 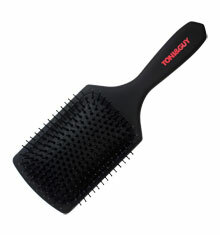 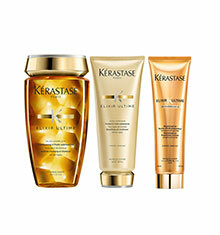 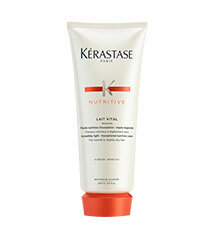 For hair that feels light and luxuriously nourished.